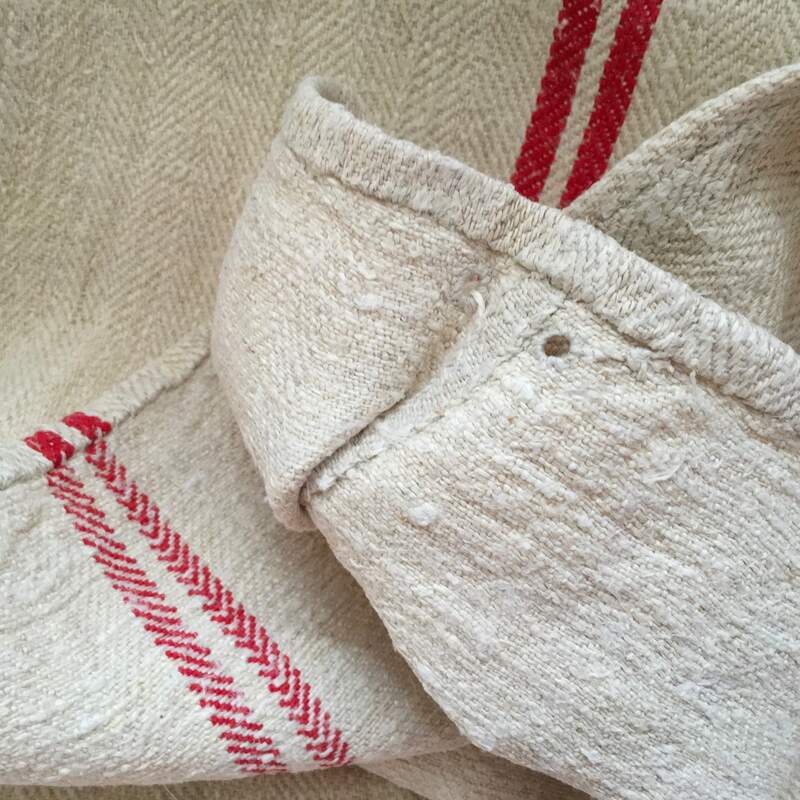 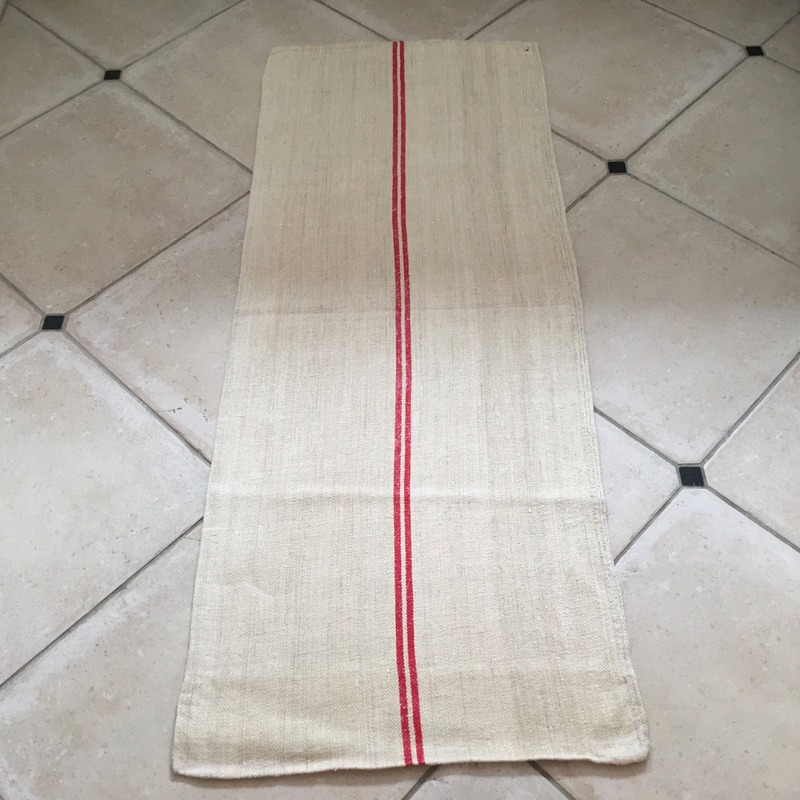 Fine-weight vintage Hungarian twill linen, this grainsack is natural limestone/beige with double red stripes woven into the linen. 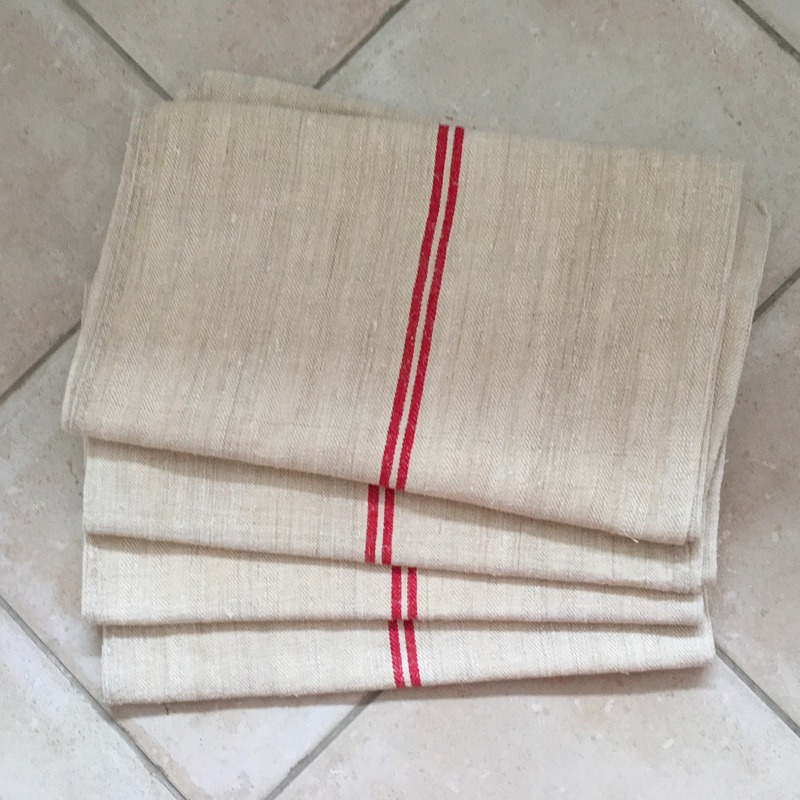 Use this grainsack fabric for upholstery projects, laundry bag, cushions, handbags, lavender bags and many other sewing projects. 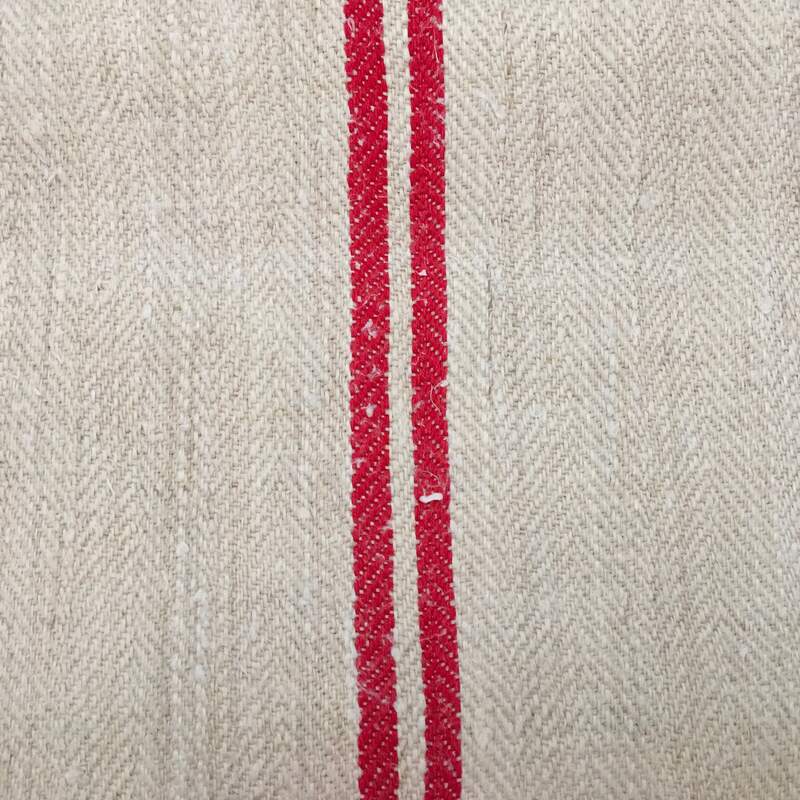 See photos for design details. 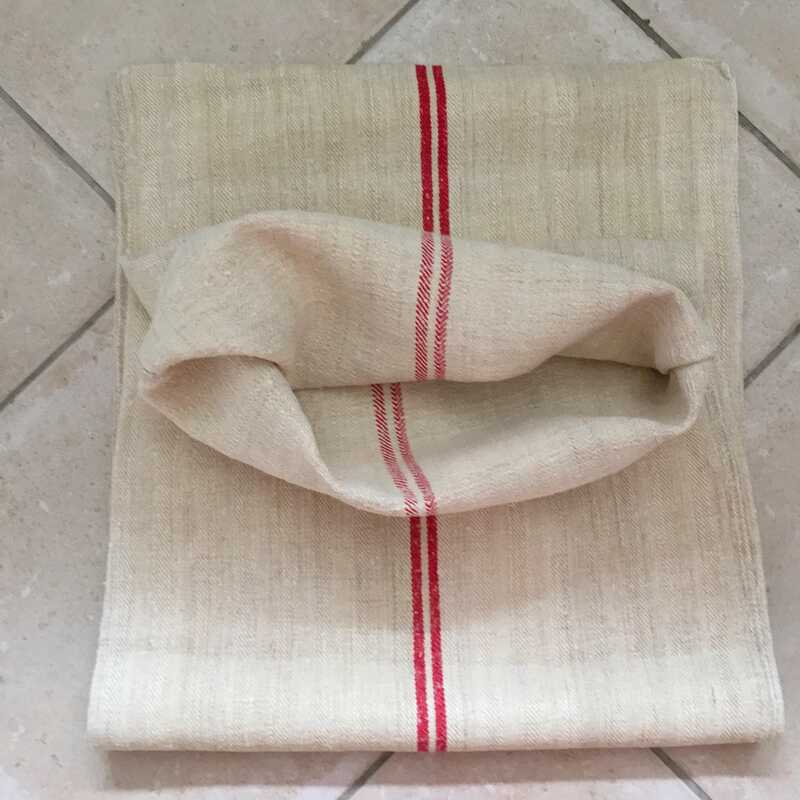 There are 4 MATCHING AVAILABLE select quantity when ordering - perfect for a matching project of cushion pillows.